We manufacture and market a fluid filled (saline solution) mouthpiece that soothes oral, dental and maxillofacial pain with cryogenic therapy. 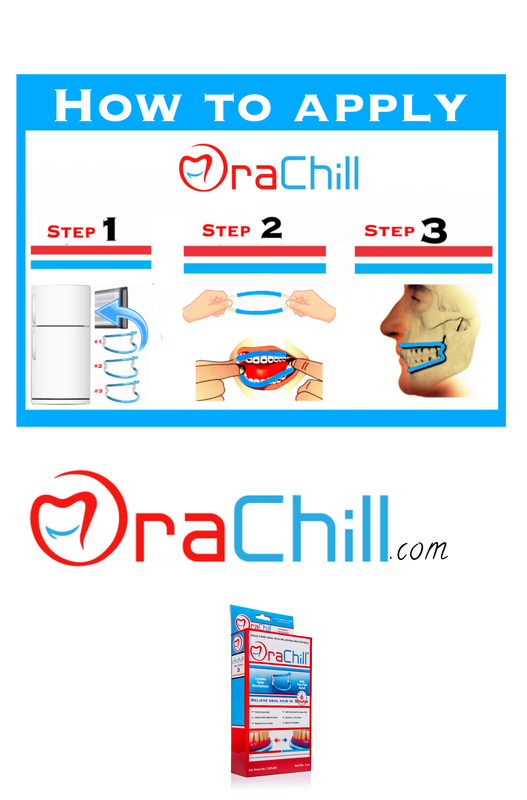 OraChill is a direct to consumer prodoct that offers drug free, reusable and powerfully effective pain relief. The user simply stores in their home freezer for fast and effective oral pain relief. OraChill is patented and proven effective with an IRB (institutional review board) as a class 2 (exempt) medical device with the FDA. Manufacturer and develop inline retail distribution channels for our patented "one of a kind" mouthpiece that is diverse in it's uses. Mouthpiece kit (3 mouthpieces) sells for $39.99 at OraChill.com.